The Foxy Boxy! – Making Memories in The Chaos. Gosh, isn’t it roasting?! It really is true what they say, everything is so much better when the sun shines! We have been really enjoying the sun and heat today and I am sitting here stuffed after a yummy BBQ. I just wanted to take a quick 5 minutes to share with you a new venture by 2 local girls, who also happen to be my 2 little sisters! Let me introduce to you The Foxy Boxy club – ” a monthly box for lovers of fashion, fun and frills”! Sounds good right?! Last month the girls treated me to their first box, which had the theme “Ooh La Laah” and I was delighted with what was inside. 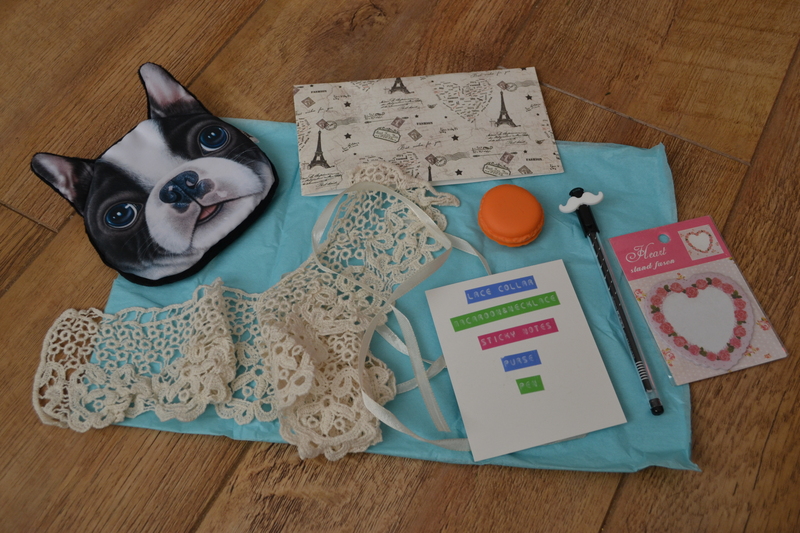 Lots of lovely little bits and bobs that came as a lovely little surprise; almost like getting a surprise present from someone for no reason at all! 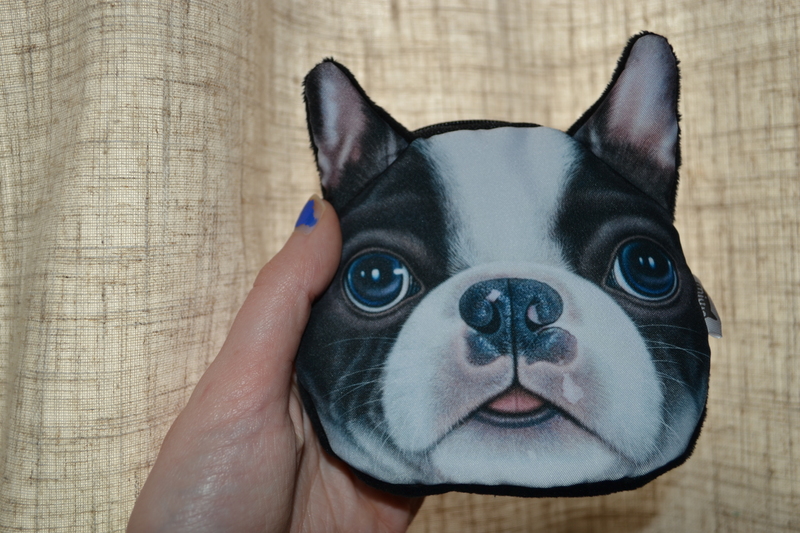 And then inside I found…..
A little French Bull dog purse – very cute, Miss L loves it! But I like it for keeping coins and loose change in for the car park. 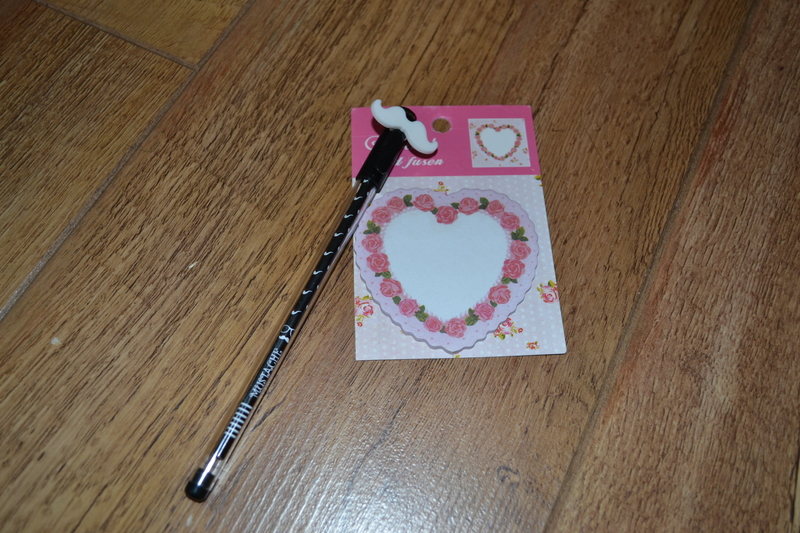 A moustache pen and heart shaped sticky note pad! Quirky and fun! 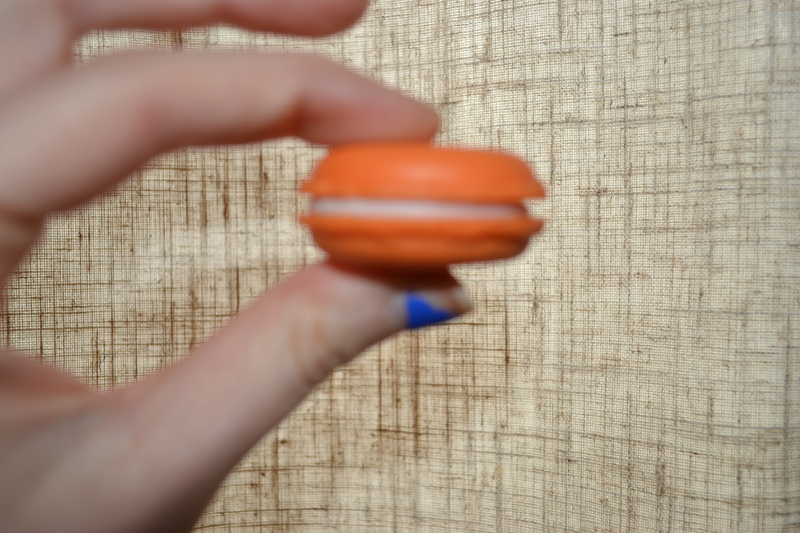 A little macaroon with a delicate gold necklace inside. I put a much better picture up over on instagram! And a lovely lace collar to add a finishing touch to a simple dress or top. Here’s Jill, one of the ladies involved wearing hers! Like I said I was really delighted with my box – it contained treats that I wouldn’t have necessarily bought for myself, but they were a lovely surprise to receive! Their July box goes on sale tomorrow and the theme is, “Let’s go to the beach”. I’m looking forward to seeing the goodies in this one! 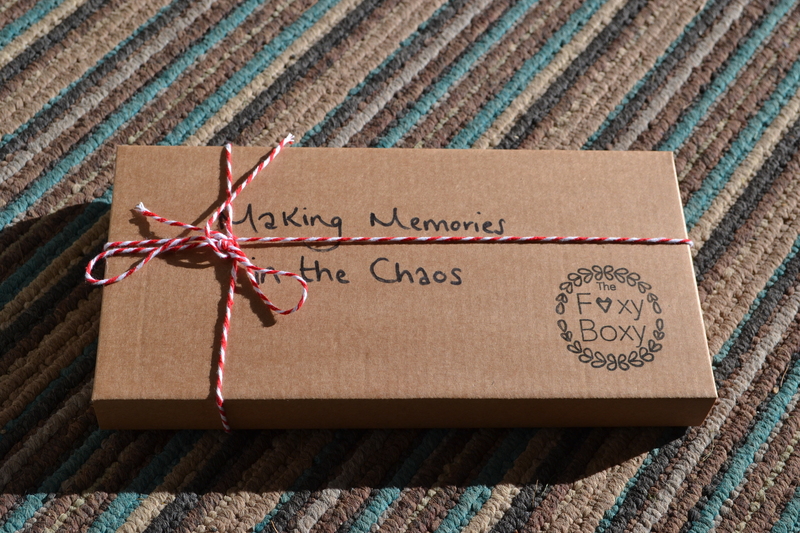 The box costs £15 with free postage and packaging. The boxes get released for purchase at 9am on the 1st of each month, so you need to be quick tomorrow morning if you want one! 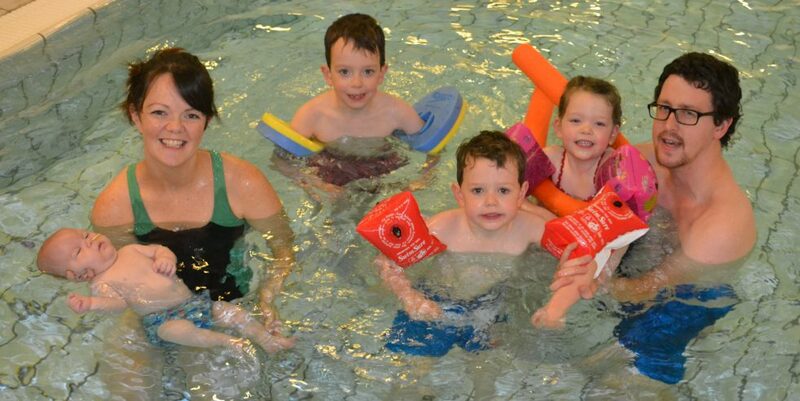 Please do go and give their page a ‘like’ and share some love. Previous Post My little bear is a whole big 4! Next Post A day at Pickie Park!